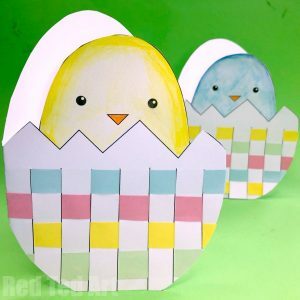 Welcome to Easter Crafts & Ideas Round Up! 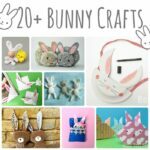 You know how I love a good old “Get Crafty” (check out Bunny DIYs, Easter Chick Crafts and Easter Basket ideas !!!!) 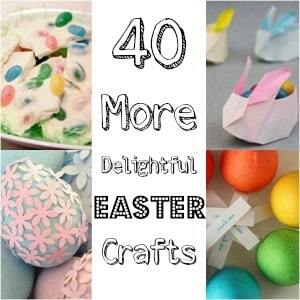 and Easter is such a great time of year to really have a go at crafts – either for yourself or with kids. 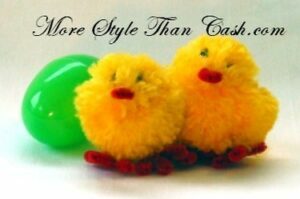 All those beautiful, cheery Spring colours and cute Easter bunnies and chicks. I do love Easter Crafts!!! 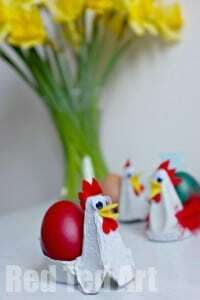 I thought it would be helpful to group things a little differently this time – we have egg decorating ideas (which broadly speaking apply to either a “blown egg” or a hard boiled egg), we have treat gift ideas and decorations. All sorts. Hope you enjoy this month’s get crafty and find lots of things you like to make!!! 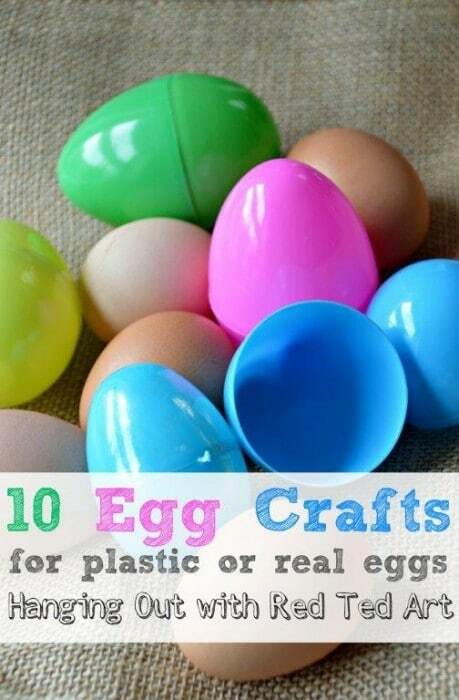 This is definitely a great resource for Easter Crafts for Older Kids too! 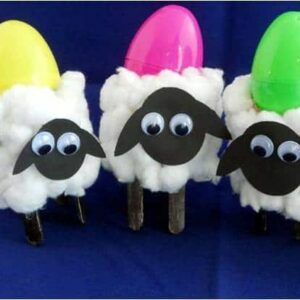 If you are working with young kids, do check out our Preschooler Easter Craft section! 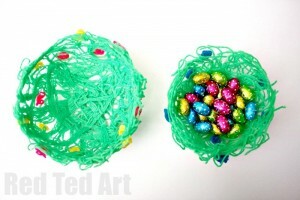 This Easter Crafts inspiration was first shared in Feb 2012! It has since been updated (many times) and republished for your convenience!! Enjoy! NEED that LAST MINUTE Easter Idea? If you give ONE thing a go this Easter.. I HIGHLY recommend our Family Easter Game – the great Egg Roll. 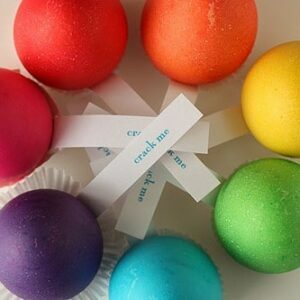 A bit like the fabulous White House Egg Roll… but with a crafty difference and suited for all age groups and family dynamics.. whether Toddler wants to join in, or Granny in her wheel chair… you can all have a go at this Crafty little Easter Game and have lots of fun. It is now a super simple and FIRM TRADITION in our house..
Oh my! 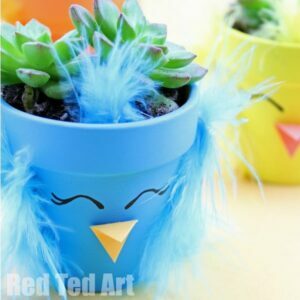 These cute little Spring Chick Planters make the PERFECT no candy gift idea this Easter. They are super quick and easy to make and look so cheerful. Perfect for succulents and small cactii. 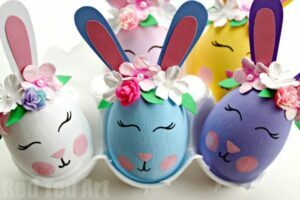 A gorgeous Easter Gift or Easter Decoration to make!! 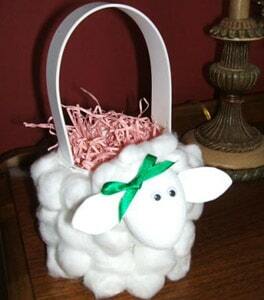 These Easter Baskets are made from recycled tissue paper and are easy for kids to help make. We also made an adorable Easter Chick Basket version! 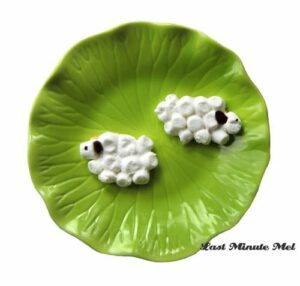 LOVE these DIY Yarn Bowls – if you have ever had these on yur to do list, make them now for Spring. So sweet when using green woold, some little yarn flowers and any other yarn decorations you can find. Delicate, easy and fun!! Now.. 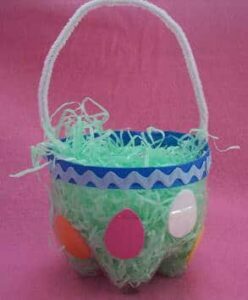 I do like recycling, so I do REALLY like this little basket – made from an old plastic bottle, it is quickly converted into a cute little Easter basket the kids can make and decorate. Wonderful. I think we may have a go at these this year! 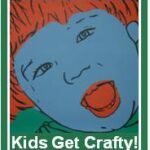 Craft Elf shares their how to! 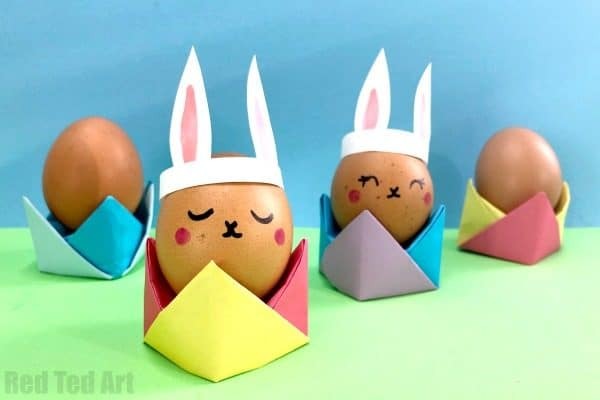 Super easy origami egg cups for kids to make! 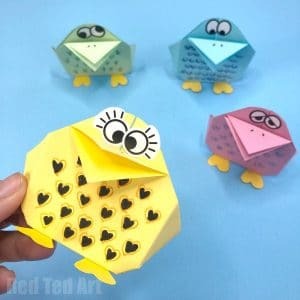 A great Origami pattern for kids to get excited about this traditional paper folding craft and technique! 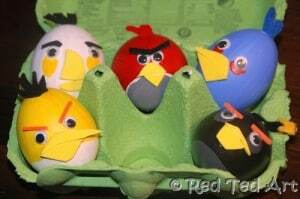 A “classic” and perfect craft for Easter – convert your egg carton box into a Rooster or chick. These take me back to my childhood. 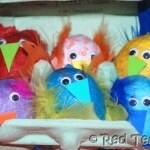 Feathers, paint, some card and hey presto… Here is more info on how to make the Egg Carton Chicks! 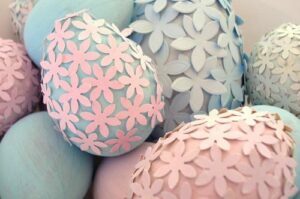 Here is a highlight of some of our favourite Paper Easter Crafts! 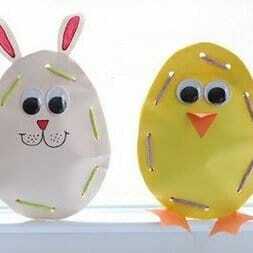 Though we do have an extensive collection of paper Easter crafts & printables for you to browse too! 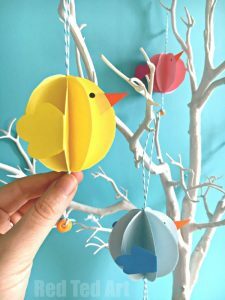 One of my favourite Paper Easter Crafts EVER are these Chick Paper Decorations – such a cute Spring decoration made from more or less just paper. 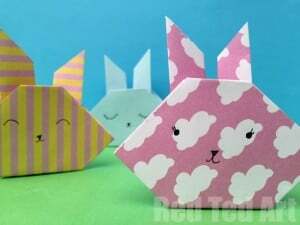 These paper bunnies are just sooooo easy to make and a GREAT introduction to Origami for kids. 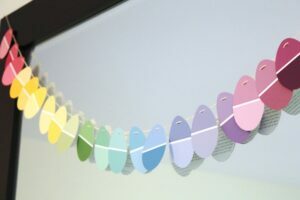 Great as decorations (make a garland), as simple toys or as part of an Easter card. Make one. Make many! 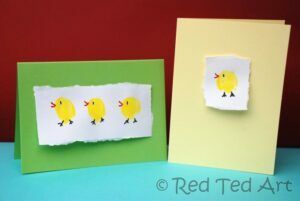 These would be great easter card ideas for toddlers – make a set and glue to the front of some card stocks. Wonderful. Flex your origami skills and have a go at this Origami Carrot – this would be super cute as a carrot bunting or maybe as part of an Easter Greeting Card! Have a go at Paper Weaving. 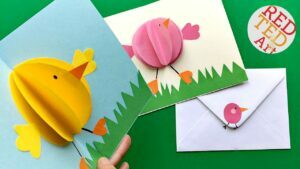 With these Woven Egg Chick Cards – you have a choice of making them as greeting cards, or there is a free printable “big” version as a cute preschooler Easter Art Project! There is also a super cute Woven Bunny Basket card to choose from too! 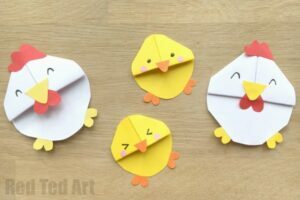 Also.. why not take Paper Chicks from above and turn them into “Chick Pop Up” cards? So very fun! Love how FUN this Paper Bird Origami is! 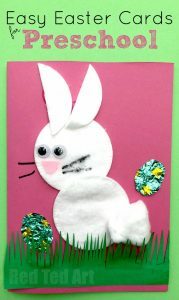 If you are looking for more Easter card ideas for toddlers, you must check out this super cute adn easy Cotton Wool Bunny Card. So simple and so fun to make! 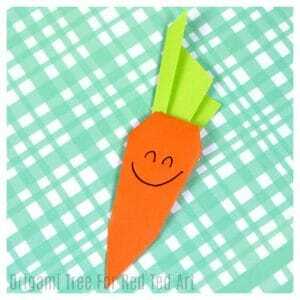 Don’t forget that we have an extensive list of Easter Crafts for Preschool for you to browse! 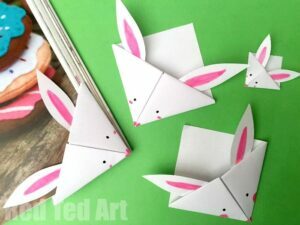 When you have mastered the basic Origami Bunny, ou can then move on to these super cute bunny corner bookmarks. Also easy to make and super sweet. A great little Easter gift too. Similarly we have some quick and easy Chick Corner Bookmarks! Aren’t they fun? You will want to make a whole family of them!! A great addition to our Corner Bookmark Designs collection. 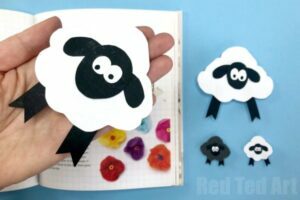 The newest of our Easter Bookmark Designs.. are these fluffy Sheep Corner Bookmarks! Easy and cute! 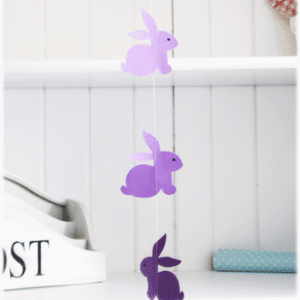 This bunny garland has been popping up everywhere recently. And I am not surprised it is teh cutest little thing around AND the wonderful Titatoni even gives you a hand download so you can make these super duper quickly and easily! Thank you Titatoni! You will also find this adorable printable in our Free Printables section! 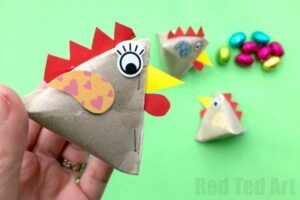 This is one of my favourite Easter Crafts to date – How about some “juggling chooks” – well you don’t have to juggle with them, you can have them as pretty decor, or you can play bean bag toss like we did! Your call. 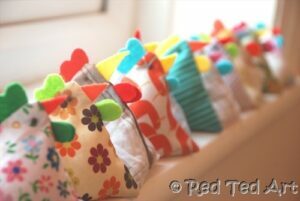 But they are SUPER easy to make – hand or machine sew and make a great project for someone learning to sew! Also a great way to use up slightly large pieces of scrap fabric. 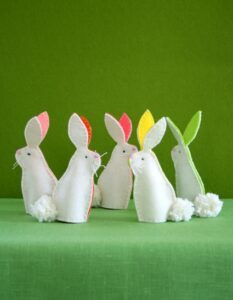 Lovely Easter gifts to make too! Use your empty egg shells to make candles! No fancy equipment required, just some old wax (we used ours from Christmas), homemade wicks and egg shells! We had great fun making these and used our “secret” ingredient to colour the white wax. The kids were fascinated! 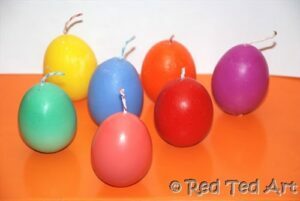 Come check out this Egg Candle how to! 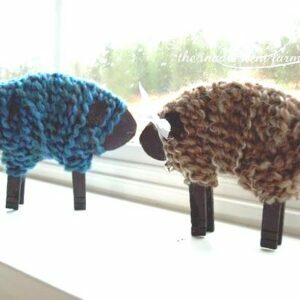 Another great idea for the craft fair or Easter gift to make (and so thrifty to make too!). 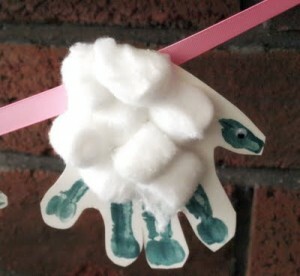 The Inadvertent Farmer came up with this cute woolly sheep craft – a bit like a lacing activity, I think young hands would enjoy the “wool winding” part of this idea. Very cute. 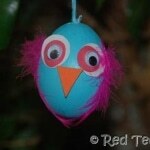 This is a great Easter Craft for Preschool and younger kids, as well as older kids! So sweet. 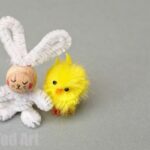 Hear are some more adorable Easter puppets. 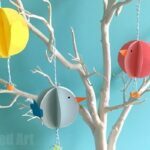 Love that they are all based on the “egg shape” and look easy to make. Fiskars shares the craft. 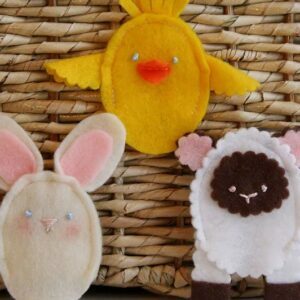 I love that you get all the “typical” Easter animals – a chick, a bunny and a lamb! Just adorable. 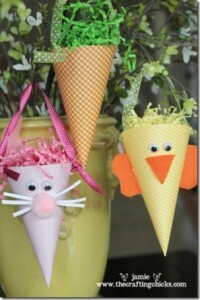 Another great idea if you are looking for easter crafts to sell at craft shows! 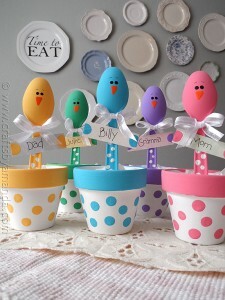 These make great little Easter gifts to make and sell! 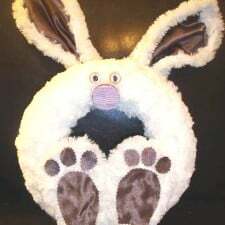 Here is a cute little Easter Wreath idea from Kelly at Domestic Goddesque! Certainly something different and the kids will love it. Check out her lovely idea. What is Easter Crafts without egg blowing & decorating?! 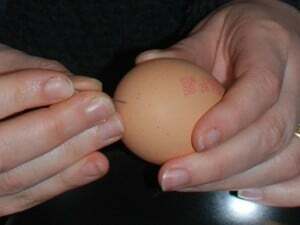 Before you decorate (some) of your Easter Eggs (you can do hard boiled ones or you can use the “empty” shell), here is a post to show you how you can “best blow out” your egg. It is a little tricky at first, but I am sure you will get the hang of it after a few goes… this year we have already blown out about 20 eggs! It is addictive! 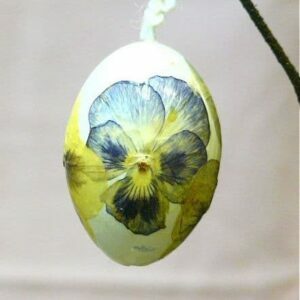 Check out this “Easter Eggs Blowing” how to. The kids will love love love these sprout heads. 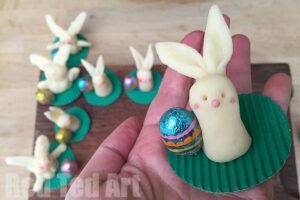 They are super duper easy (seriously.. it doesn’t get easier than this) and fun to make and you can see them sprout within DAYS of making! 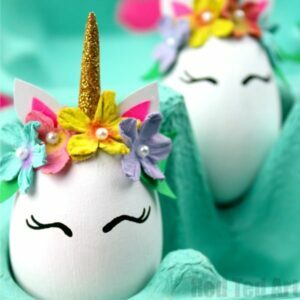 How PRETTY are these DIY Unicorn Eggs? A quick make with a hot glue gun.. 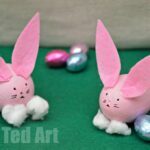 Similarly.. you simply HAVE to have a go at these Egg Bunnies! So darling! 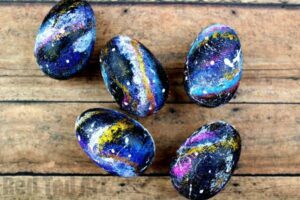 Or get ARTY and have a go at this easy step by step guide to making Galaxy Easter Eggs. Similarly, I love these Grass eggs. Yep. Nice and easy and straight forward. I know we have all had a go, but I had to included it, as it is a “childhood must”. 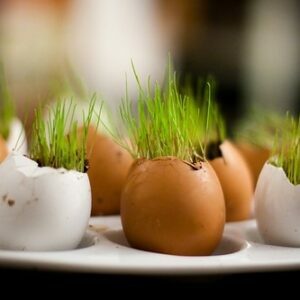 EVERYONE has to at some point grow cress in an egg at home. Much More Sure took such lovely photos I thought you would like to see how they went about it! I love the simplicity of using rubber bands and the “childhood” favourite of using crayons to leave marks on eggs that you are dying. Frog, Goose and Bear, share their Easter eggs, as well as another lovely recycled bottle basket and chick cupcakes! Looks like fun! Oh! 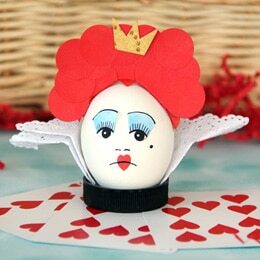 Not only does Disney’s Family website have this wonderful “Red Queen” egg, but they also have a Cheshire Cat egg. How cute and fun and wonderful is that? They would certainly bring some Fairytale magic into your Easter. 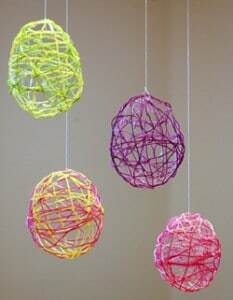 Of if you are celebrating someone’s Birthday these Easter, these sure would be a fun “party decoration” – maybe the kids could even do it as an activity!? And I know.. Family Fun again.. but what can you do – they have such brilliant egg decorating ideas that I just want to show them ALL to you. One was good as the next. How fun are these “diving dudes”? Brilliant! I know that chalkboard has been all over the place for a long long time now and that last year MANY blogs did this wonderful chalkboard easter egg… but I still love it. And if you haven’t seen it, it really is such an adorably cute idea. This one is via The Red Thread. 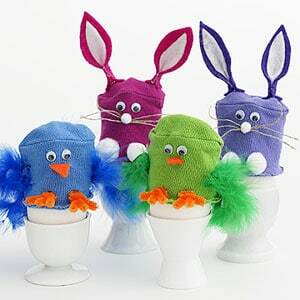 If you are worried that small hands will break the egg – try our tissue paper egg chicks… they are easy (enough) for small hands to make and handle and we haven’t broken one yet! Or how about the rather more “on trend” Angry Birds? These are sure to get a giggle this Easter. I wanted to give these to my Brother in Law for Easter, but a certain someone *really* wants to keep them.. maybe I need to make another set, what do you think? 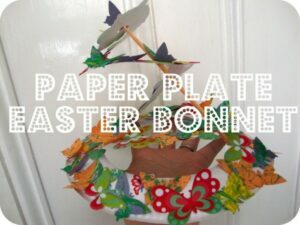 Our very own bonnets made out of newspaper and salvaged tissue paper – we made some with flowers and some with Easter chicks! They are so quick and fun to make you will want to make more and more and more! I do love Newspaper Crafts, so very versatile and simply fabulous. Environmentally friendly, inexpensive AND fun! 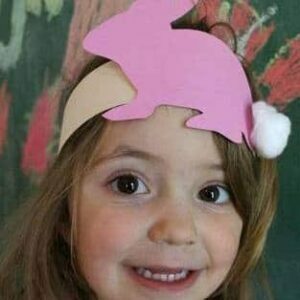 Super easy Fondant Bunny How To. 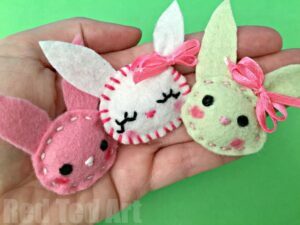 These are cute as they are (as small Easter gifts made from marzipan or similar) or also perfect as Cupcake Toppers. Too cute. The kids will love making them too. 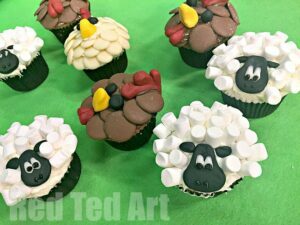 The kids will have a BLAST making these easy peas chicken and sheep cupcakes. And even MORE fun eating them. They are great addition to any Easter treats! 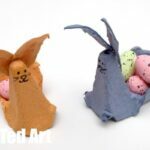 Paper Mache Easter Egg Treats! I love these mini pinatas by Not Martha. They simply look fabulous and are such a fun fun fun idea! What child wouldn’t like receiving one of these? 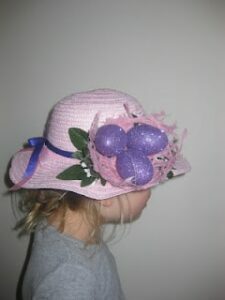 Though I think my children would also love MAKING them themselves and giving some to Granny and Grandpa this Easter! This is a great 5 minute craft idea for Easter – turn Cardboard Tubes into Chick Treat Boxes in minutes! 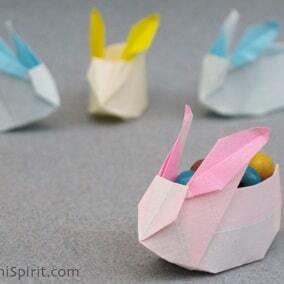 I love these Origami Bunny “nests”. Especially the idea of using the white of your origami paper as the outside and adding colour to the inside. Don’t they look pretty. 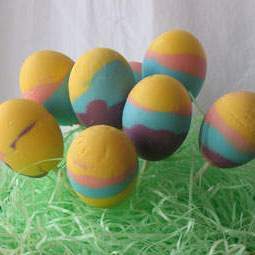 I think I will most definitely be learning how to make these this Easter. Gorgeous. You can find instructions on Origami Spirit. Visit my Free Printables page to find links to GORGEOUS Origami paper downloads to print at home! 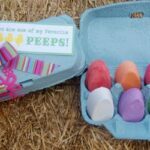 This could be one of two things – the original blog posts make these as cute little Easter Treat Bags.. but I think they would also make a lovely “Lacing craft activity”. Either make them “such like that” or add them to an Easter card to relatives.. Or… as per Simply Modern Mom use two sheets of card and fill with sweets! Hooray for Easter! There is a downloadable printable too to make life easier! 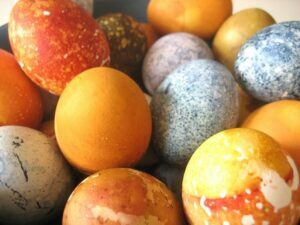 And you thought these were just brightly coloured eggs? Another ingenious ideas from Not Martha – and yes, it “did the rounds” last year, but I cannot resist showing it to you in case you either missed it or forgot about… Take an egg shell.. paint it… and.. well, you will have to visit Not Martha for the surprise. But it is great! Can you believe that these cookies are no cook? Well.. ok, you use some store bought ones as a basis. Of course you can make your own cookies. I highly recommend our tried and tested shortbread, but otherwise, just but some and make these adorable treats. Visit Last Minute Mel for details. Oh my word. 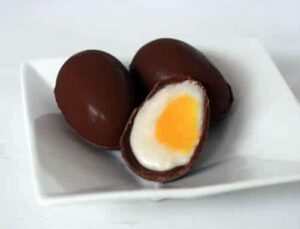 The Englishman would be in Easter Treat heaven if I made him these. He LOVES jelly beans and he LOVES chocolate. And don’t the beans and the white chocolate simply look fantastic together? What a fabulous Easter treat. Scissors and Spatulas shares here recipe! 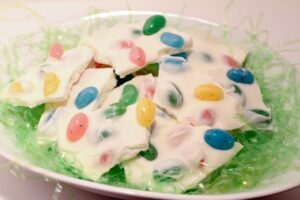 And of course we must not forget our “traditional Easter nests” – the idea is simple and yet you can add so many variations – cornflakes vs rice crispie, addition of peanut butter or butter scotch – your call. 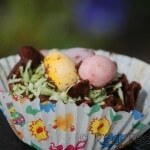 But you will find the “basic instructions” for Easter Nests here, as well as some very chocolatey little faces. Now I didn’t think it was possible to make a Cadbury Creme Egg yourself!! But it looks like someone over at Instructables has done just that! All I can say is WOW! And I bow to you culinary superiority! I think I may just stick to the shop bought ones, but I still had to share the tutorial with you! Soooo what do you think? Are there enough Easter egg decorating ideas for you? And what about all those Easter treats? 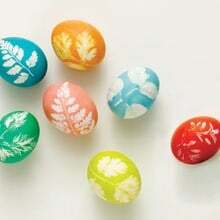 Hope you fun this Easter and that you do get crafty!!! 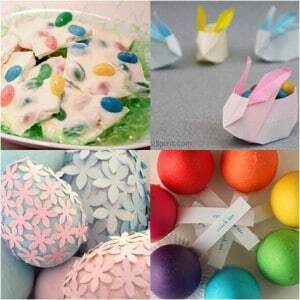 I would love to hear what your favourite Easter Crafts have been! 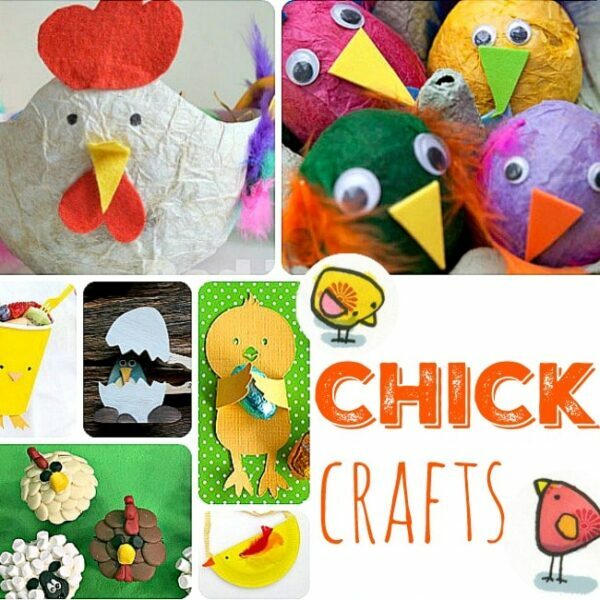 If you need more Easter Crafts & Ideas, please do come and explore the blog – there are SOOOOO many more ideas for you and your kids! 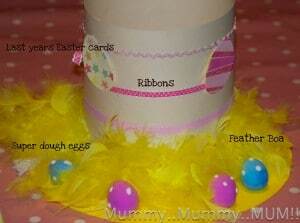 Search via the Easter category or the Kids Craft category! 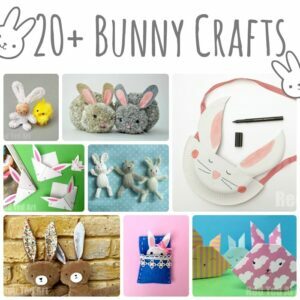 Or maybe you would be interested in these 20+ MUST SEE Bunny Crafts and 20+ Easter Chick Crafts! 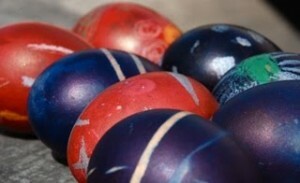 Finally.. check out these great Science Experiments for Easter! How fun! Wowza! 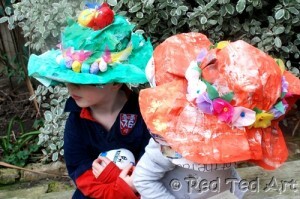 What a great round-up of Easter crafts! Hi Nikki! 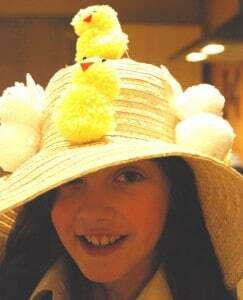 I am delighted that you included my Easter chick pom poms. 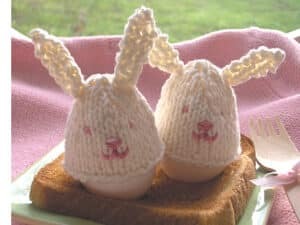 The one thing that I found when I made these with my own children was kids tend to wrap the yarn quite tightly on their fingers when they start(til they turn blue). So just make sure your little guy wraps it not too tight. Aaah thank you so much for stopping by and letting me know!!! Great top tip! Wow! So many cool ideas! Going to have fun choosing some to do with my tot. 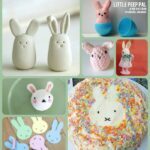 I love these ideas, especially the pom Pom bunny so cute! 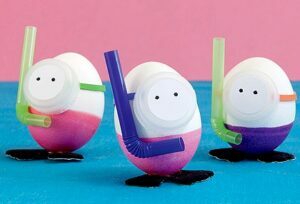 Love the egg ideas too. Nice to are all the ideas lined up to choose from. Love the homemade cadbury chocolate eggs. I so trying that this year. They are my husbands favorite! Thanks for sharing all these fun ideas. Thanks a million! Some of these are just so exciting!!! can’t wait to try the chalkboard egg and the yarn eggs. Really appreciate the effort in compiling these. Aaah I am so pleased you have found things to make!! 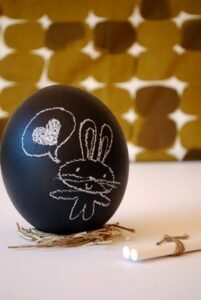 I love the chalkboard egg too. Isn\’t it just the CUTEST!!! The not martha eggs are the best. I\’ve done them over and over and they\’re so fun to crack – though time consuming to make! These are awesome Ideas. Dig on those Diving Dudes. 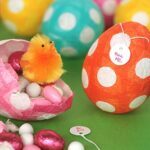 I made polka dot eggs last year – not with sticky paper, but with something else – can you guess? Are yours the glitter ones I have seen on Pinterest???? Oh did see those and they were GORGEOUS! Found your site through Pinterest. A wonderful collection of ideas. Will definitely check this site in the future. Aaah thank you so much! Look forward to seeing you here again soon! I’m so pleased I found your site . Love all the crafts here . Fascinating ideas and very original . Love to feature it on my Easter Lens at Squidoo.com . Thanks for sharing . Wow the cream eggs look fabulous! They will go well in my Easter Showstopper Chocolate basket! 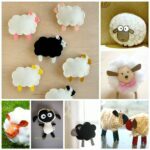 Hello, I SO want to make those bunny pom pom crafts but when I go to the site it doesn’t come up. Any other way to get the directions? Any help much appreciated! Thank you! 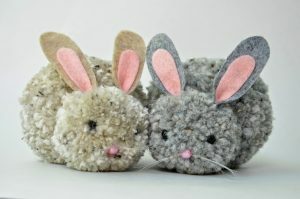 I so want to make the pom pom bunnies. When I go to the site it doesn’t open. Any other ideas of how to get the directions? Thank you in advance. It very beautifull . Tks you so much. I love it .